Hyaluronic Acid is a major component of the synovial (joint) fluid essential for the smooth working of the joints. Lubric8 contains a low molecular weight Hyaluronic Acid for maximum absorption, providing extra lubrication when this is needed. 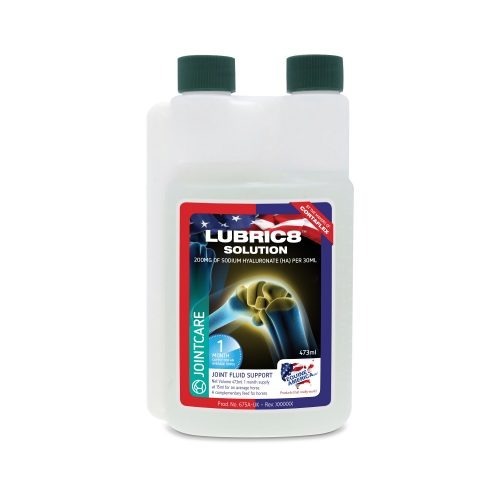 Lubric8 can be fed alongside Cortaflex® for an extra boost to joint fluid.